Randy Finch's Film Blog: What Types of Low Budget Films Break Out? What Types of Low Budget Films Break Out? 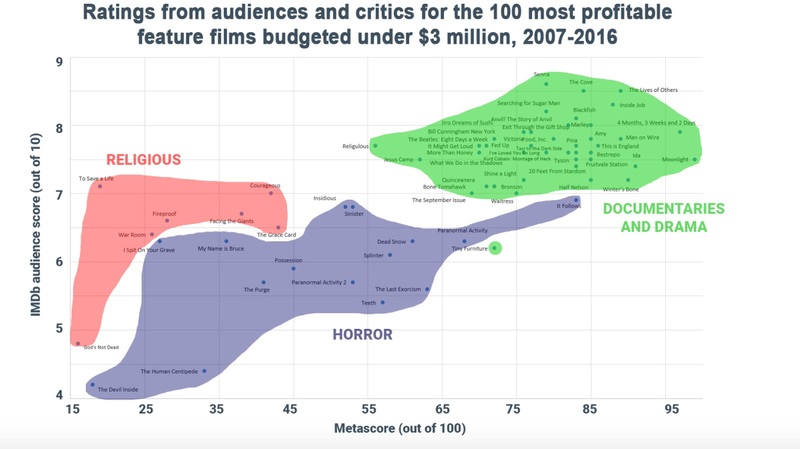 If you're making an indie film (budgeted at under US$ 3 million), is there a formula for success? Stephen Follows and Bruce Nash crunched the numbers - looking for patterns behind low-budget movie success - and in late 2017 published their results on the AFM website. Hi !!!!! Please visit the website https://putlocker4k.me/ Free. Quality is high.